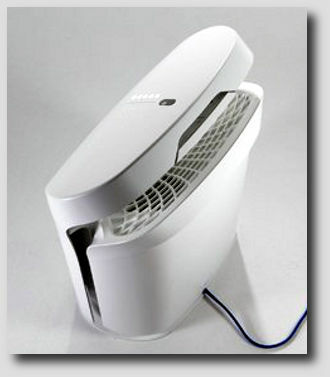 Rabbit Air BIOGS 2.0 Review: "The China Card"
Since 2004 Rabbit Air has sold imported air cleaners with price premiums generally justified by the bunny's top-notch customer service. I have long been recommending Rabbit Airs for insecure first-time buyers and anyone adverse to do-it-yourself when it comes to mid-tech gadgets like air cleaners. If you like or need customer service that answers promptly and fluently, Rabbit is it. Independently-minded folks who can cut to fit prefilters and are not afraid to experiment could choose the less expensive Winix and Coway models priced about $100-$200 lower. After a very long wait, the new BioGS 2.0 series hit the market in mid-November 2013. A 10% price boost accompanied the new models, with SPA-550A going for $369.95, and SPA-625A fetching $399. Rabbit Air must rely on outsourced manufacturers. Their Minus2A series have always been Korean-built Coways. But best-selling BIOGS 1, predecessor to BIOGS 2.0, was an older Mitsibushi design re-engineered for Chinese manufacture. Despite being China-built, Rabbit's original BIOGS 1 was on my Top Ten Air Purifiers list from the start. So new readers don't get the wrong picture from my China-bashing, my son's 2010 BIOGS 1 is running perfectly after 3 years, I ordered the first replacement filters recently. The only other China-built models on my list were economy-priced Honeywells, at the bottom. Air-purifier-power has always given prominent mention to Korean-built alternatives, notably the Winix and Coway air cleaners. Thousands of American companies outsourced production to China, marching to the siren song "cheap labor." I have warned my readers of the trend toward outsourcing "American" air purifier brands, like Whirlpool, Hoover, and Honeywell, transforming them into lower-quality Chinese imitations of the former products. Negative publicity featuring recalled, defective, or dangerous Chinese products has flooded the media in recent years. Less notice has been given to the growing number of western companies experiencing bitter disappointments from their eastern outsourcing. Managements consistently underestimate the risks inherent with the strategic decision to do business with or in China. Once production is established, some Chinese manufacturers allow "quality fade," squeezing additional profits from low-margin manufacturing deals. Their goal is to achieve technology transfer and then assume control of the process and products. Poor quality is not the biggest risk western companies face when outsourcing. A pattern has emerged where piracy, counterfeiting, and appropriation of physical and intellectual property are becoming the norm. A recent entrant in the air purifier business, Fellowes, had $168 million in paper shredder equipment basically stolen by their Chinese joint venture partner. Even big guns like Toyota, Google, Nike, and Apple have been stung on the mainland. Western media has also highlighted life-threatening Chinese air quality. But few Americans can visualize how bad it really is. Visibility as low as 30 feet is increasingly common, especially in northern provinces during heating season. At those visibility levels, air traffic is frozen, instrument landings impossible, and health quite obviously impaired. A recent study suggests that air pollution is reducing life expectancies in the northern provinces by over five years. And pollution that happens in China doesn’t stay in China. Japan's air quality metrics have fallen as Chinese levels peak and weather moves the cloud northeast. Particulate bearing the signature of Chinese coal-fired power generation has been measured in California. Air purifiers are a must-have for China's emerging middle class (of course the Party/elite have at least one in every room). With domestic air purifier sales growing rapidly, (China's air-purifier market would surpass USD $14.6 billion by 2016), manufacturers, both western and eastern, see their future in China. While thousands of small Chinese electronics firms make air cleaners, the mainland's domestic market is still largely dominated by foreign players. Western brands like Blueair, Panasonic, and Philips report record 2013 sales growth on the mainland. IQAir, whose air purifiers sell in China for roughly the equivalent of USD $3,000, had sales triple during the first two quarters of 2013. Chinese consumers, with little experience, tolerate imperfect products if prices are low. This has China's builders thinking more about domestic marketing opportunities, and less about quality. So, in my opinion, despite the transitions in Japan and Korea before it, China's ancient business culture is unlikely to evolve quickly to meet western standards for integrity, quality, and safety. Rabbit Air has been tight-lipped about what happened with BIOGS 1, but we know it was yanked off the market despite a long period of success. I think Rabbit's Chinese manufacturer of the old Mitsubishi-based BIOGS 1 just kept cutting quality, pocketing the savings. Starting in 2012, my grapevine began to telegraph troubling news of quality slippage. Repeat buyers, and BIOGS 1 had lots of them, noted their disappointment with later versions of the same model. Since the product is shipped boxed, importing companies like Rabbit must rely on user feedback to find out when corners have been cut. Rabbit has not offered details of what went wrong, but they were clearly forced to discontinue their best-seller amid increasing returns and consumer complaints. BIOGS 2.0 at Long Last! Many Rabbit Air fans gave up waiting, it has taken a couple years for Rabbit to get the genuinely new BIOGS into production. I'm sure most readers have guessed that the new Rabbit Air BIOGS 2.0 is NOT made in China. South Korea's air purifier industry has worked hard to move up the value chain, building relatively reliable brands with a long term perspective. I'm also pretty sure BIOGS 2.0 is made (in Korea) by Coway, as part of their long-standing relationship with Rabbit Air. While BIOGS 2.0 specifications are similar to its predecessors, this is not just a restyled version of the old BIOGS. Rabbit started anew, and Brazilian industrial designer Guto Indio da Costa was consulted to give the new Rabbit BIOGS Two integrated form and function. Swoopy styling also directs airflow, with air inhaled from the bottom and sides, but exhausted back into the room at an angle for improved circulation. Like the old BIOGS twins ("421" and "582"), today's BIOGS SPA-550A and SPA-625A have no exotic technologies. There are no plasma ions, electronic grids, photocats, or ozone, just a HEPA filter train with switchable negative ionizer. It is pretty early in the second BIOGS product cycle, so all I could find was apartmenttherapy.com's supportive blog entry, posted after BIOGS 2 appeared at an electronics show. No user reviews are available in early December 2013, with the BIOGS twins only two weeks on the market. Updating in Aug of 2017, there are now 199 verified purchaser reviews at Amazon.com, they are 84% five stars! Just one 1-star report, complaining about smoke removal. This is a VERY favorable user reception. Rabbit BIOGS Two is a fully automated air cleaner. Tap the top panel and BioGS 2.0 lights up a touchscreen LED display. Controls are user friendly and fairly simple. The functions are divided between a main control button and the remote. When Auto Mode is selected, sensors for both odors and particles automatically modulate five fan speeds in response to pollutant levels. BIOGS 2's sensors offer three user-adjustable levels of sensitivity. LED displays communicate air quality and filter life remaining. Despite the automated controls, I recommend the Rabbit be left running on manually selected higher speeds as much as possible for better results. Auto Mode is best for bedroom use, after running the BIOGS on high for at least one hour before bed. BIOGSes come with a remote which can change fan speeds, turn the ionizer off/on, and set the sleep timer for 4, 8, or 12 hour shutdowns. New owners are warned, do not loose the small remote. Rabbit Air BIOGS 1 owners often lost the necessary remote, but Rabbit Air offered reasonably-priced replacements. Like the BIOGS Ones, both BIOGS Twos share the same chassis and filter train, the 625 has a more powerful motor. No Clean Air Delivery Rates (CADRs) are listed on AHAM yet, but Rabbit specs list them. CADRs for the new BIOGS 2.0 are in the mid-100 area where the predecessor BIOGSes ranked. I would have preferred a bit more power, as the BIOGS One's 140 CADR was a disappointment to many buyers. Rabbit insists on marketing its products with room size recommendations based on two air changes per hour (ACH). BIOGS 2 SPA-550A is said to clean a 550 square foot room "twice in an hour on the highest setting." For allergy sufferers the big bunny recommends four air changes per hour, suggesting installing 550A in 275 sq. ft. Uh, bunny folks, no air quality expert would ever support these inflated room size specs. 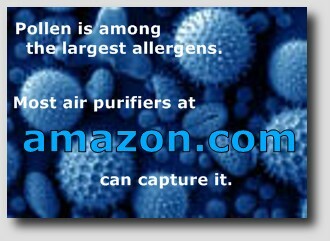 For starters, 40% of all air cleaner buyers list allergies as their primary purchase motivator. Pet owners and smokers, who also need smaller room sizes, make up another 40% of the market. So who should put the 550A BIOGS 2 in a smaller-than-recommended room? I recommend using the BIOGS 2 SPA-550A in rooms no bigger than 155 square feet. For the SPA-625A, a turned-up motor offers a bit more power. Again the SPA-625A should NOT be expected to keep air breathable in rooms sized for four air changes per hour (313 sq. ft.), or two ACH (625 sq. ft.). I like BIOGS 625A for 175 square feet max. Both models of BIOGS Two have a four-stage filtration process, three filters precede a negative ionizer. It looks to me like they kept their BIOGS filter lineup (a good set) and had Coway build the 2.0 around it. First comes the permanent fiberglass-screen pre-filter. This is a valuable piece sometimes omitted in lower-priced purifiers. This prefilter is washable and vacuumable and should last several years. The user manual warns owners to completely dry the prefilter after washing, probably to avoid getting moisture in the HEPA filter. The old Rabbit Air BIOGS sequence, where HEPA preceded carbon, has been reversed. This should reduce issues with odors accumulating in the HEPA, though users who don't change the carbon filter fast enough to keep up with odors may still find the HEPA beginning to smell. BioGS has a true-HEPA filter, 0.3 micrometer particulate is retained with 99.97% efficiency. Germicidal chemicals retard the growth of bacteria and viruses on the filter itself. Rabbit says this "prolongs optimal filter efficiency," which could be technically true since heavy mold/bacterial growth can obstruct HEPA filters when moisture and food (maybe insect parts) are available. But the germicides are primarily designed to keep HEPA odors suppressed. Consumers should not expect a passive germicidal filter to interdict virulent airborne diseases as implied by many air cleaner vendors. No tight seals are present around the HEPA, as evidenced by the pollen-to-smoke CADR ratio. The pollen test uses larger particle sizes, whereas smoke sized stuff, as used in AHAM's tests, can sneak through a poorly sealed HEPA. The BIOGS 2.0 carbon filter is next, its carbon-filled honeycomb structure will be familiar to BIOGS One owners. This carbon filter has a two piece plastic grid, which can be separated by users and refilled with granulated (not powdered) carbon. I have not had the new carbon filter in hand to compare with my BIOGS 1 filters, but I expect the weight of activated carbon is around one pound. Rabbit advertises "BioGS HEPA and Charcoal-Based Activated Carbon Filters will last up to three years, based on 12 hours daily operation." 24/7 operation, recommended here, is said to shorten filter life to 18 months. As stated above, our BIOGS One filters are being replaced after three years continuous operation, but should have been swapped a year ago. Users with pets, smoke, or other odor sources may need to refresh the carbon filter more often. Historically, Rabbit Air has charged fairly low prices for the carbon filter, somewhere like $30 for BIOGS 1. A common gripe from Rabbit BIOGS 1 owners was "doesn't remove the odor." The answer is that plain activated carbon is effective on some odors and not so good on others. Per Rabbit Air, BIOGS 2.0 removes 56% of acetaldehyde (sweet perfume, air fresheners...), and 93% of ammonia (pet urine, etc), after 30 minutes run time. BIOGS Twos have two filter reminders. An exterior filter life indicator will flash when filters may need replacing and stay on steady to suggest cleaning. When the front cover is removed, the filter life lights, a series of LEDs, indicate remaining time to change. Annual filter costs for 24/7 operation (18 month interval), according to Rabbit, are a reasonable $53.30. Again, pet/smoking environments should budget higher. Rabbit says 0.001 ppm (parts-per-million) was measured when the BIOGS 2 negative ionizer is running. As Rabbit Air points out, ARB (California Air Resources Board) standards are much higher (.05 ppm). So much higher as to be worthless as standards, in my opinion. But buyers need not fear ozone accumulations from the BIOGS 2 negative ionizer, which is switchable for the sensitive. Rabbit's BIOGS series use 12 Volt Brushless Direct Current motors (BLDC). BLDC is modern, quiet, and dependable, with no brushes to wear, drag, or arc. The stepped-down motor voltage also produces much lower electromagnetic frequency (EMF) pollution. SPA-550A is near silent on lower nighttime speeds. SPA-625A is also good for the bedroom, but a bit louder on higher fan speeds. After either BIOGS interface goes untouched ("idle") for five minutes, the lights will disappear. The display is reactivated by touching either the control button or remote. SPA-550A is very frugal, with power consumption of only 5 to 29 watts. SPA-625A uses 5 to 39 watts. Both BIOGS machines are EPA ENERGY STAR qualified. Both BIOGS Two air purifiers are mid-sized, measuring 22.2 high by 16.6 wide and 9.8 inches deep. BIOGS Twos weigh 16.8 lbs., and are easily portable with a built-in carry handle on the rear. A cord length of only 6.08 ft. means buyers should give some thought to where the new purifier will be spotted. Rabbit Air built itself on customer service, a scarce commodity in the air purifier business. Technical support is available 24 hours a day, seven days a week, for the life of the product. English-speaking service and support is located in California. BIOGS 2.0s carry a five-year warranty with online registration, or proof of purchase, required. great quiet bedroom air purifiers for 155 and 175 sq. ft. The big test for Rabbit is whether they now have a product and supply chain to sustain their commitment to premium customer support. To succeed, Rabbit must continue their outstanding customer service to justify price premiums for the BIOGS 2.0 twins. So BIOGS 2.0 WILL be taking BIOGS One's spot on my top ten page immediately. Update June 2014, BIOGS TWO moved up to number 4 spot on Top Ten, "best import from Asia." Rabbit Air BioGS 2.0 SPA-550A at Amazon.com. Rabbit Air BioGS 2.0 SPA-625A is also at Amazon. Amazon purchases ship from and are sold by Rabbit Air.